Celebrate Shakespeare’s 400th with Words in Air. We take you to the place that sparked his early sonnets, and most probably his later 'Dark Lady' sonnets, too -- Titchfield Palace, Hampshire. Find out why. Then visit his birthplace, Stratford-on-Avon, where he'd returned to live by 1609, when all the sonnets were published. We include seven of Shakespeare’s 154 sonnets to remind you of the sheer pleasure that a mere 14 lines can bring! 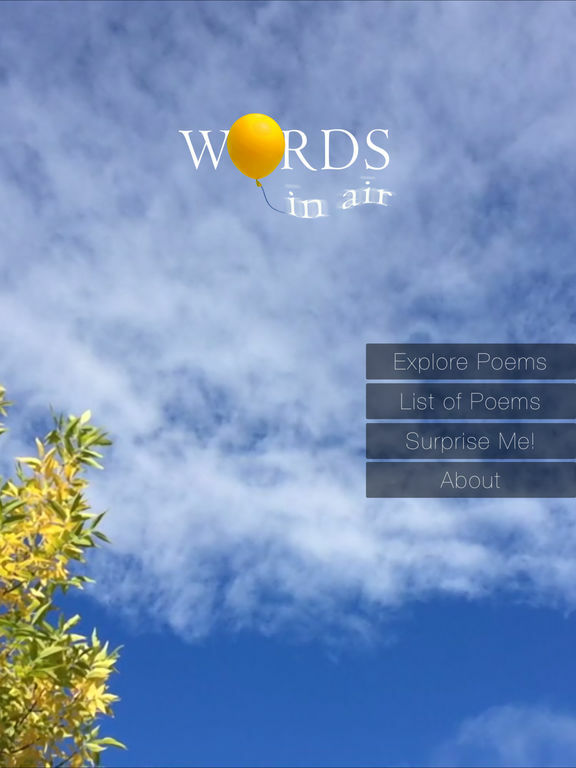 Discover Words in Air, the unique mApp of inspiration. 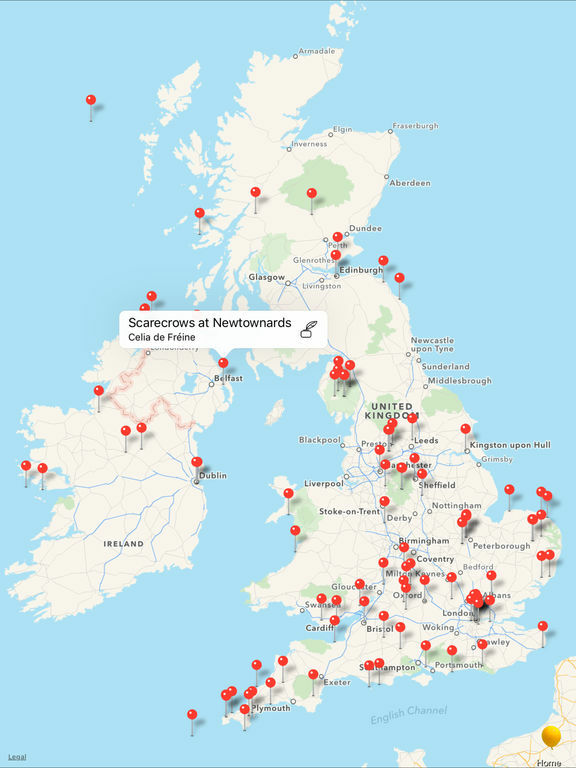 We pinpoint places across the British Isles which sparked the imagination of talented poets, from Patience Agbabi to Tamar Yoseloff; Blake to Keats to Wordsworth; from our gifted Poet Laureate Carol Ann Duffy, to the classic ‘The Lake Isle of Innisfree’s’ W.B. Yeats. Experience each poem more deeply by putting yourself in the poet’s ‘place’, virtually, or for real. Simply tap 'Nearest Poem' to discover the poem closest to you. Not in the British Isles? Tap 'Surprise Me'. We’ll take you somewhere new! Perhaps Suffolk, with Alan Jenkins? Norfolk, with George Szirtes? Housel Bay, Cornwall, with Penelope Shuttle? 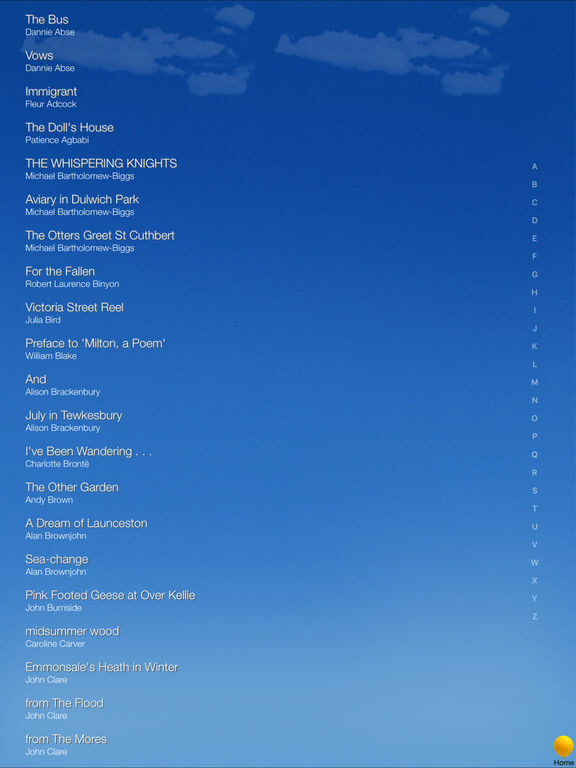 Whether you’re going for a walk, on holiday, or an avid armchair traveller, you can access every poem, anytime, from anywhere. Over a thousand people in fifty-six countries are exploring the richness of our literary landscape. 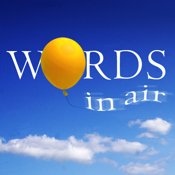 Enjoy over 100 contemporary and classic poems in Words in Air – an expanding anthology of award-winning work and fresh talent. 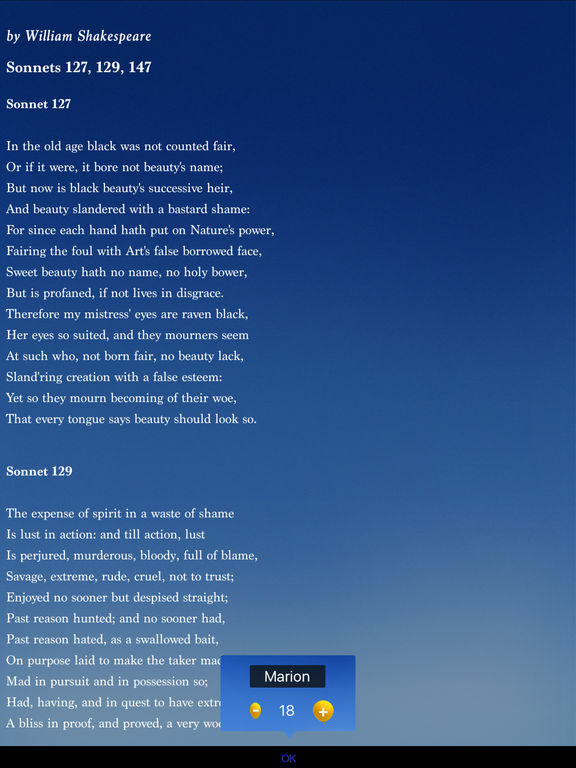 Our 'About the Poet' feature helps to illuminate the poems. A website of the poet’s choice takes you further into his or her world. Poets find inspiration everywhere, from intensely urban to utterly rural surroundings. Some of the places might surprise you! ‘Hymn to a Photo Booth’ by Michael Symmons Roberts is a wonderful example. Spend a stimulating afternoon at Oxford in the 'plum deep dusk' as Professor Jay Parini, American poet, novelist, and biographer of Robert Frost, questions thinker and philosopher Sir Isaiah Berlin. He plucked a fragment by the 700 BC Greek poet Archilochus and made it the subject of 'The Fox and the Hedgehog', his famous essay: 'The fox knows many things, but the hedgehog knows one big thing'. Which one are you? Not sure? Then clear your head and go north 'to the saw-toothed crags where thistle burns'. Witness, with Jay Parini, in his exhilarating poem, 'Near Pitlochry', a moment of revelation. Wherever you live, we hope Words in Air encourages you to explore, through the lens of great poetry, your own familiar landscape, as well as areas of our country entirely new to you.